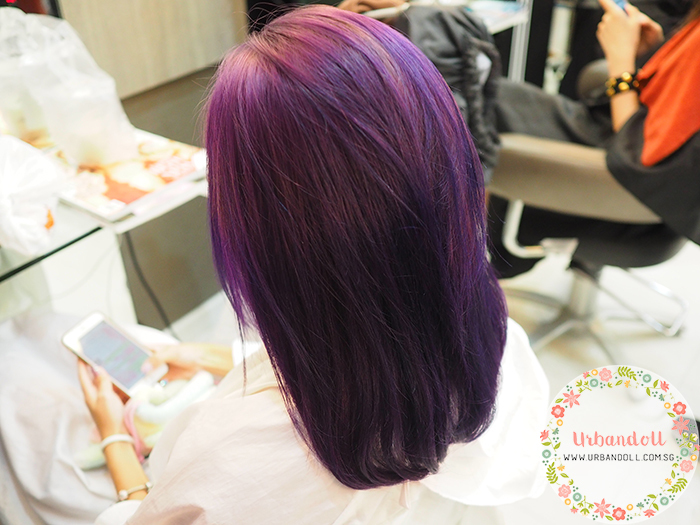 If you don’t already know, I now spot a head of purple hair! It’s been more than a month and I can’t get enough of it. 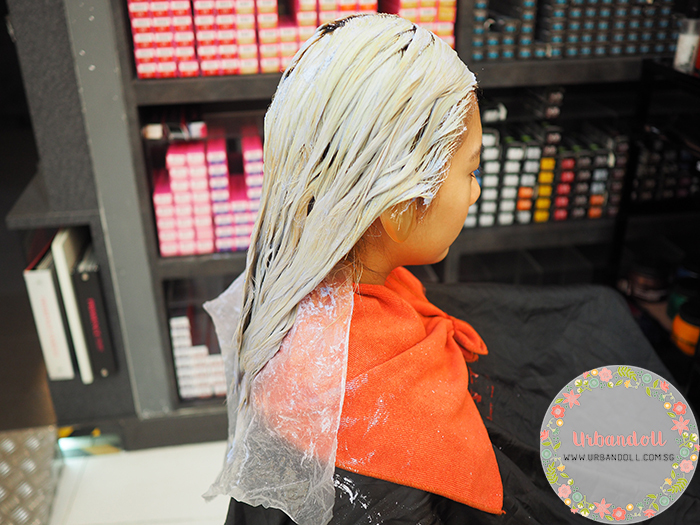 My hair was done at Shunji Matsuo 313, do read on for the bleaching process! We did two rounds of bleaching. 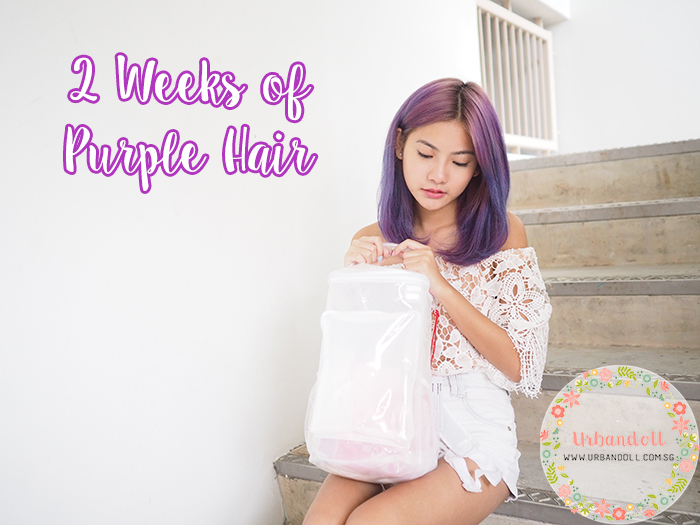 Usually when you dye such fanciful colours, more than a round of bleaching will be required, especially for asian hair like mine. 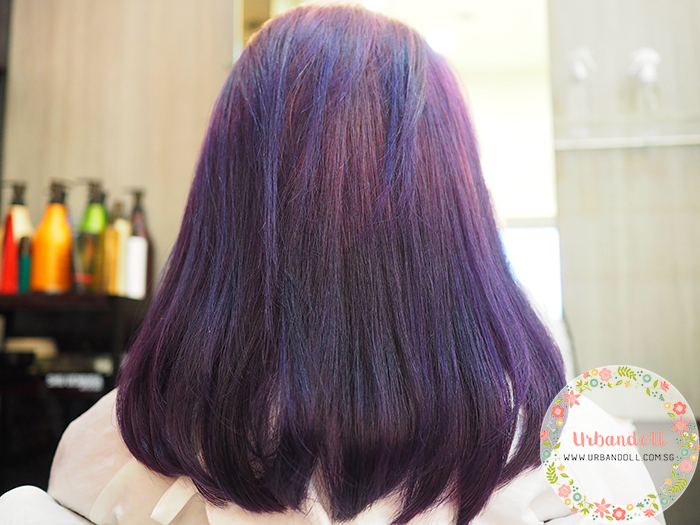 I’ve been wanting to go for a crazy colour for the longest time but my hair stylist, Jerry, said it was best to fix my hair condition first. 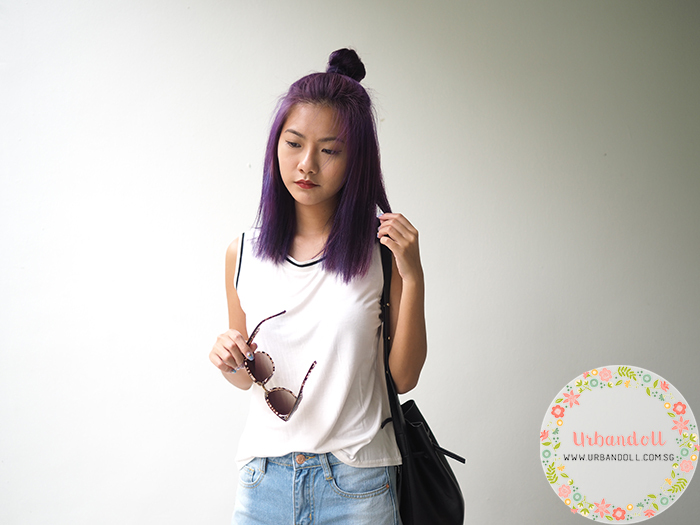 My hair is naturally very coarse and dry so he advised me against bleaching my hair too much. The day finally came when he allowed me to bleach my full head!!!! I was so so excited!! Sat in the salon for hours, waiting for the bleach to work its magic. This time, the bleach didn’t hurt me or irritate my scalp at all. Not sure if I was lucky or what. 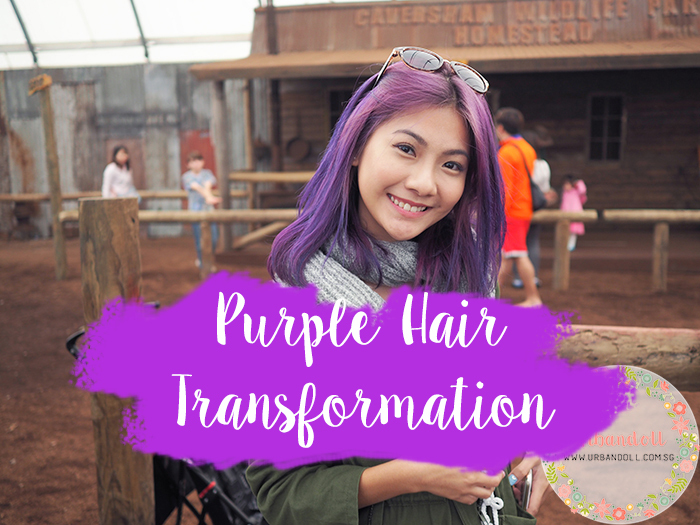 There was once I bleached my hair and I could feel some irritation on my scalp. 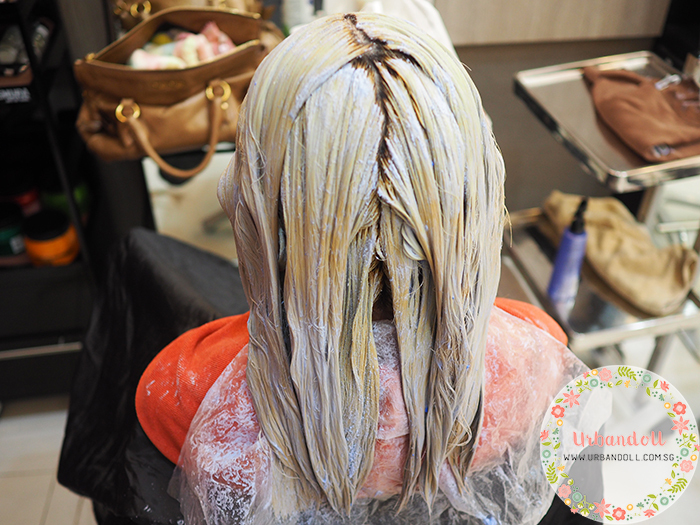 Your scalp will get irritated when you bleach it although the extent will differ from people to people. 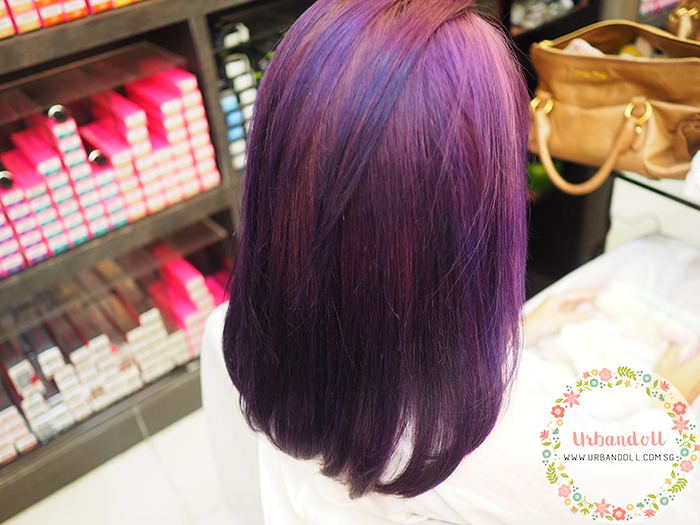 Under certain lightings, my hair looks like a dark shade of purple. And then it looks dark here. No editing of colours done to any of the photos on this blogpost at all. They are straight from the camera! This was the day right after my hair dyeing session. 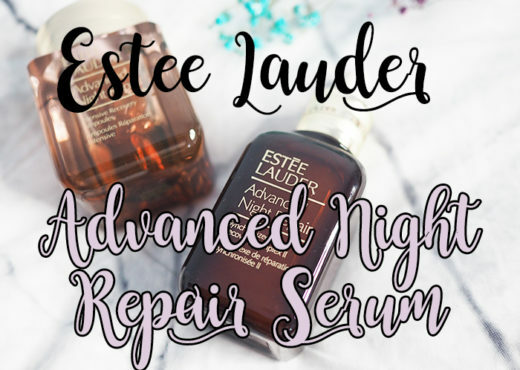 It is recommended not to wash your hair for at least 24 hours after you colour it in order to maintain the long-lastingness. Two days later in the sun. 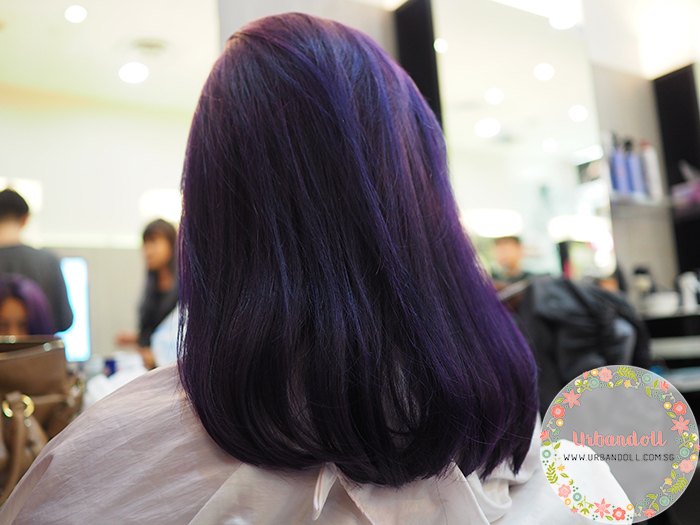 You can see the purple became a lot more vibrant already. I went to Perth a week later. And got some of compliments from the Australians. I was walking along the streets and had different people coming up to say they liked my hair. I wanted to say I wish I had their naturally blonde hair so I could dye whatever colour I wanted!! Two weeks later, you can see the roots were starting to grow. 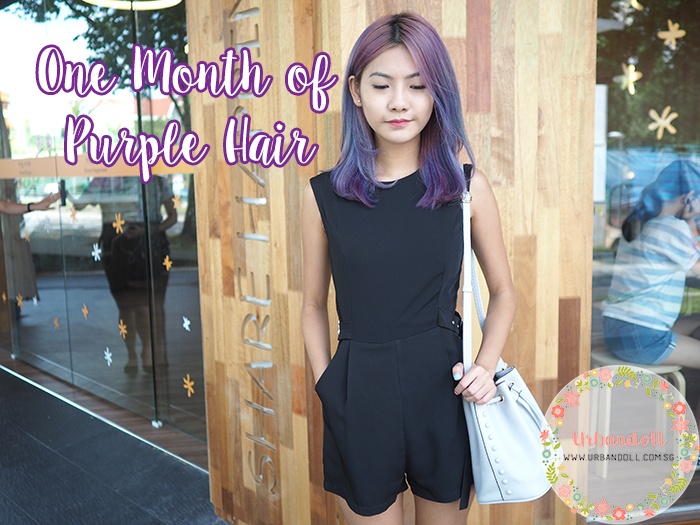 One month later, I HAD UNICORN HAIR!!!!! My hair became a blend of pink, purple and blue!! 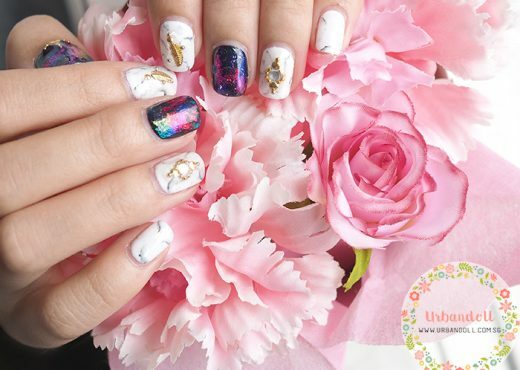 It was so so pretty. I had people saying I had rainbow hair. More than a month later, you can see the upper top most part turning pinkish-orange. 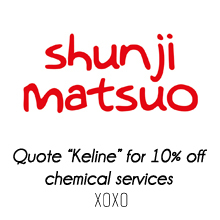 If you are visiting Shunji Matsuo 313, don’t forget to quote “Keline” for 10% off services! My hair stylist is Jerry and I’ve been with him for years. Wouldn’t trade him for anybody else!